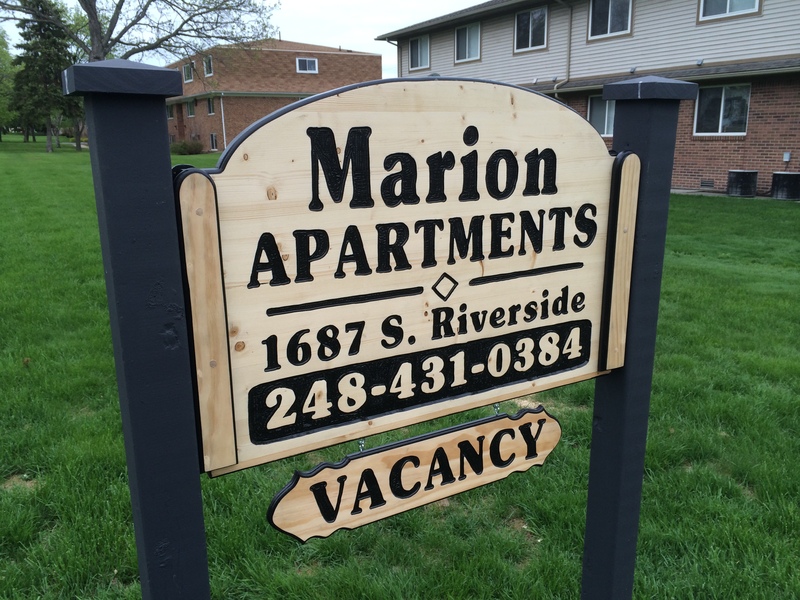 Check out our custom engraved signs in multiple sizes and shapes, great for the home or office! Check out our custom engraved hat and hoodie racks perfect for the home or cottage! Small business and cottage signs! 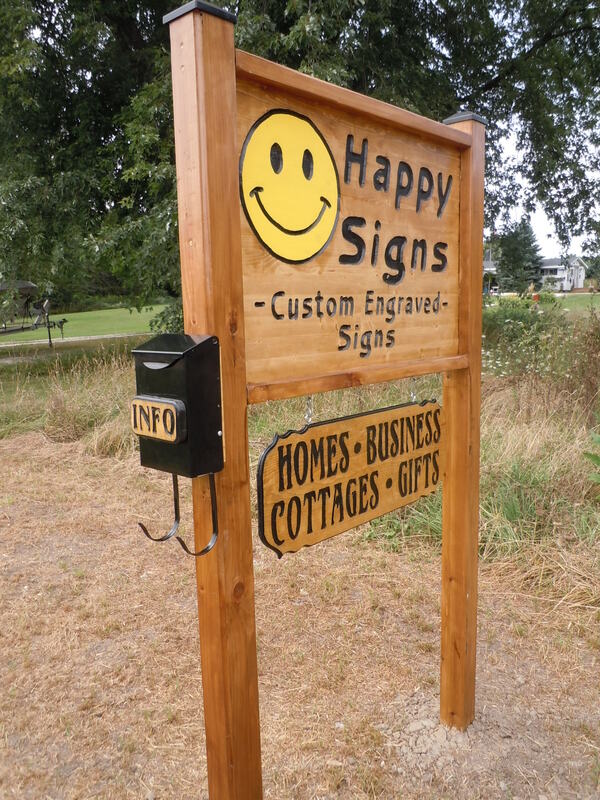 Happy Signs and More was created with the idea of spreading happiness! We like to think of how a person feels when they receive a custom engraved sign or gift that was created especially for them with their name and/or images on carved on it. In most cases it makes them feel HAPPY! And who doesn’t want to be happy these days…. At Happy Signs and More we create hand crafted engraved wood signs and gifts. Our custom engraved signs have a creative balance of text and your favorite icon/logo that represents your lifestyle. Our unique keepsakes are ready to display upon arrival, finished with a protective shine that will catch the eye of any onlooker. Happy Signs and More products will make a great inexpensive gift for family, friends, and/or business associates. A big thank you to Happy Signs! We love our new cottage sign. No one can miss our driveway any longer. It has great character and quality. Everyone that comes to visit us, asks where we had it made. So I tell them Happy Signs. Thanks again! Received our business sign for our ranch. WOW! What great workmanship. The wood we selected was a great choice, and the engraving was clean and neat. The stain used and the finish look great. The sign met all our expectations and then some. Thanks. Awesome man cave sign! Looks great and I am always complimented on it. My name, my favorite sports team name, and a great logo. You guys do great work. 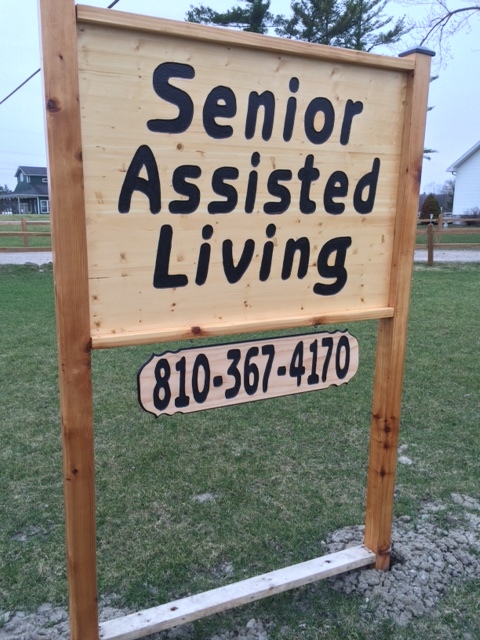 The sign was the larger one you offer, makes a statement when you come in. So for me, its the perfect size. Thanks! No more missing the address on my house. The new sign arrived and its already up. 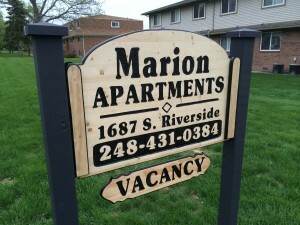 My wife loves the new look to the front of our house with the wood sign, with name and address on it. The lettering really stands out and makes it really easy to read from the road. Great work guys. If you have comments, questions or simply want a quote for something you don’t see on the website, don’t hesitate to contact us!